My short love story may be short on words, but it’s a story that’s filled every thought and day of my existence with happiness. I’m a pretty woman , a 40 year old lady who works in a job she likes, who has a son and hangs out with friends and one who, when the story begins, is still single. I’m single, not because I want to be single. I think it’s weird to be single. Or maybe that’s what all women think. I’m just a woman who’s been looking high and low for that man who can make things happen inside me. So you know, one day I came to the site Maria club. It was some experience for me and attempt to change my life for better and to find my beloved man !I have to say you that he did not answer me immediately, but you know the one of my distinctive features is purposefulness! I am persistence and like to achieve my goals at work and in daily life too. So I have decided to write him again and do not stop until he will answer me. So what happened then , in a few days after I wrote him my third letter he wrote me a touching letter. We have been mailing with him for a lot of time, writing about many things and dreaming about future together! We became a good friends and every day after work I was in a hurry to go home to read a letter from him . But of course what can be better than a real meeting! As one real meeting can be better than writing 100 letters! So , soon we decided to meet, it was exciting time for both of us. I was afraid how all goes on, maybe I will not understand his language and etc. But when we met each other at the airport, my heart stopped beating just for a second, my throat went dry, I got gooseflesh, felt a bit dizzy and the worked. I understood that all my worries were in vain. 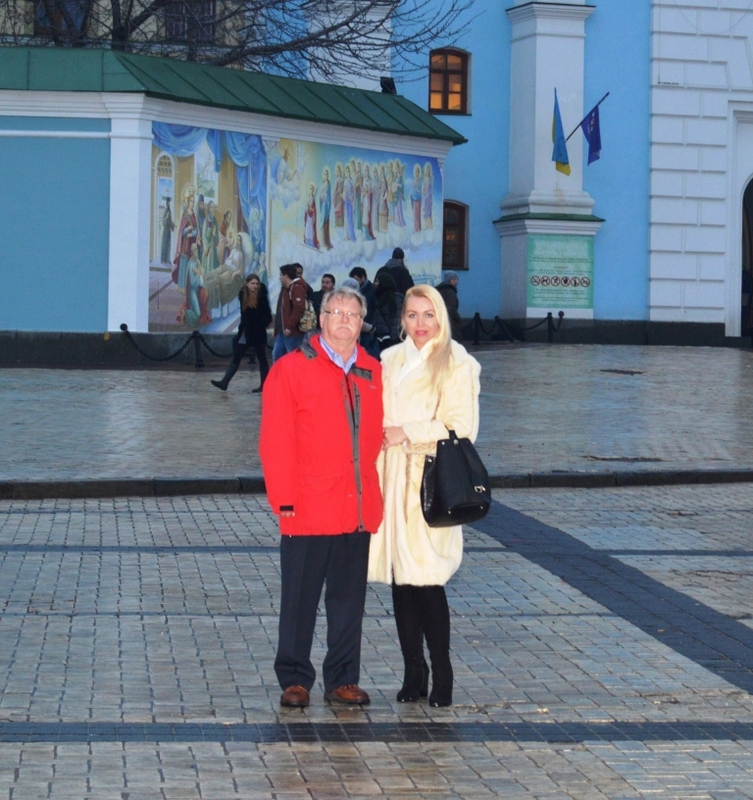 We spent a wonderful time in Kiev, so nice and romantic city, with many historical places to visit ! We spent some time at the theaters, we visited nice churches and different places for entertainments and in the evenings we were in a cozy café drank a hot tea and spoke a lot. It was amazing time together! So , writing this story I wanted to show you an example , that we have to never give up, and there is somewhere overseas someone who is waiting for you ! I wish you good luck in your search and I hope my story will inspire you !